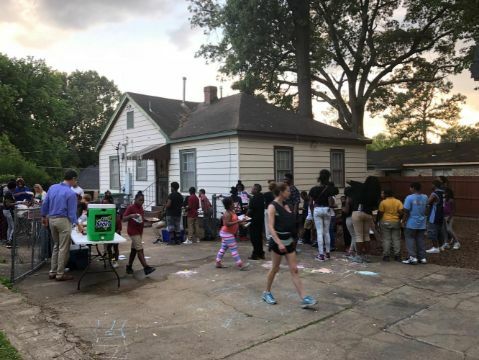 Club Nathan exists to provide another safe-haven for youth in the Binghampton Community to come out and have food, fun, fellowship, make crafts, and hear the Gospel of Jesus Christ on a weekly basis from 5:51pm-6:51pm. We have two Sunday School classes from Second Presbyterian Church, Downline Ministries, and Campus Outreach that are volunteering their time with Club Nathan to help see the lives of youth here in Binghampton be changed from the inside out. Read more about Nathan Street Ministries at http://www.nathanstreet.com.